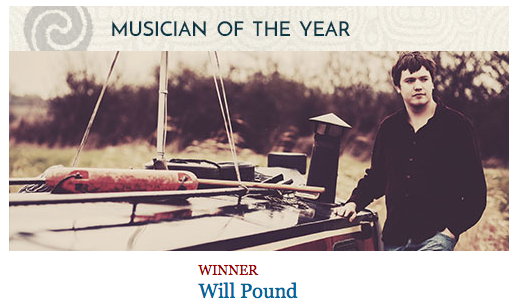 It’s the Radio 2 Folk Awards tomorrow and Will is up for the ‘Musician Of The Year‘ title. In the last week, he was also proud to be named Musician Of The Year in the Spiral Earth Awards. Thanks to all of you who voted.